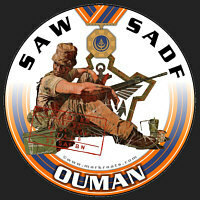 Welcome to the SADF Operations. You can find almost 400 SADF Operations on here by using the Search text box or drilling in by Theatre and then Year. I would like to invite you, the members of the portal, to help build up a comprehensive and complete Operations list, each with its own relevant profile. Registered Users will be able to post stories and upload photos to each Operation, while Unregistered Users will only be able to view the information. The concept here is also to allow Registered Users, or Members, to link themselves to Operations. This will allow others that were in that same Operation to find the member and invite him as a Buddy! Buddies will be able to establish communications with each other and build up that old cameraderie again. This is still very much a Work-In-Progress! Even so, I would appreciate your critical and positive feedback and I am sure everyone else would appreciate your participation most of all!